Cocaine is an extremely addictive drug that will provide you with tons of energy, a euphoria that’s been reported to make you feel “invincible” and an increase in confidence. 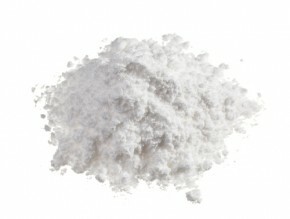 Cocaine is the second most popular narcotic in the United States, following the first being marijuana. The typical party drug is actually synthesized from leaves of the coca plant to form paste which is then synthesized again and cut with adulterant substances. During this process, when the paste is formed, the cocaine is extracted and this involves using toxic chemicals. There are two ways to make cocaine paste: solvent extraction and acid extraction. In order to make a solvent extraction, the first step is finely chopping the leaves and then dusting them with lime or carbonate salt and a small amount of water. Some manufacturers do this by hand, and some use a leaf mulcher for this. Then kerosine or diesel fuel is added to the coca leaf along with a lime/salt combination. It is vigorously stirred for up to three days. What happens here is that the cocaine is removed from the leaf into the liquid. Depending on the manufacturer this is either done by hand or with a cement mixer or washing machine. Then the liquid is heated in order to remove wax from the leaves. After that it is filtered from the vegetable matter. The liquid is then continuously mixed with sulfuric acid and the cocaine free base is converted to cocaine sulfate by the acid. This mixture then sits so as to separation of the cocaine sulfate to take place and then it’s mixed with lime or caustic soda. The filtered chemical is a gummy, yellow solid. The paste is then dried, packaged and shipped to another lab for further handling. For acid extraction of cocaine, the coca leaves are placed in a pit with diluted sulfuric acid. The leaf and acid mixture is stomped on by workers for up to two hours in order to macerate it. The cocaine in the leaves is converted to cocaine sulfate by the acid. After this it is removed and heated (in order to remove wax), and then filtered to remove the plant matter. Lime or carbonate is added to the liquid and, being stirred vigorously, this results in a curdled coca paste. The paste is then mixed with kerosine. It is then filtered to isolate the paste and processed again with sulfuric acid. After the coca paste is produced, it needs to be processed again in order to be made into an ingestible product. During this process, the paste is dissolved in a little bit of diluted sulfuric acid and then potassium permanganate is added to this. What this does is, due the fact that potassium permanganate is an oxidizing agent, it reacts with the impurities and changes the paste’s color from yellow to white or colorless. This process purifies it. Then ammonia is used to neutralize the sulfuric acid. The product is then dried and converted into cocaine hydrochloride which is the typical street product used. Though normally this is cut wit other products such as adulterant substances, in order to increase quantity and therefore profit for dealers. Cocaine is an extremely dangerous and addictive drug. If you know someone who is abusing it, they should seek immediate help.